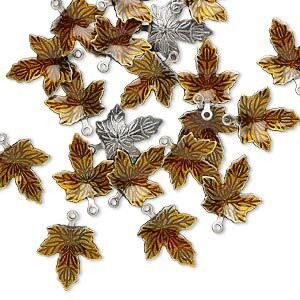 Charm, enamel and antique silver-plated brass, brown, 13x12mm single-sided maple leaf. Sold per pkg of 20. Item Number: H20-A3674FN Have a question about this item? 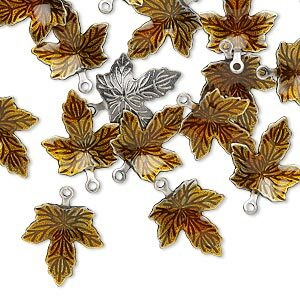 Maple leaf charms feature a rich brown enamel finish and are antique silver-plated to provide the look and feel of precious metal. 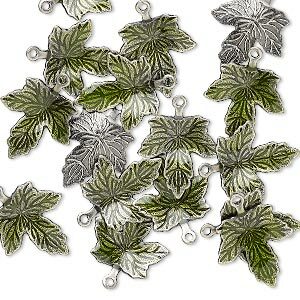 Realistically and intricately detailed to even show individual leaf veins, these charms are quality manufactured for long wear. 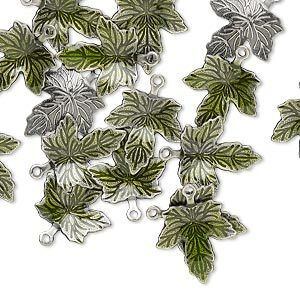 Charm, enamel and antique silver-plated brass, brown, 13x12mm single-sided maple leaf. Sold per pkg of 100. 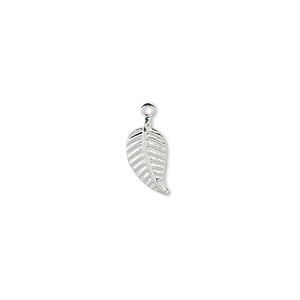 Charm, silver-plated brass, 12x6mm leaf. Sold per pkg of 100. 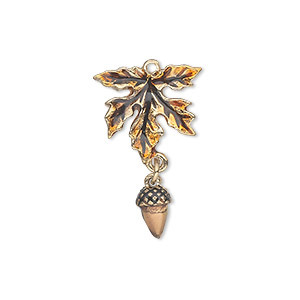 Charm, gold-finished "pewter" (zinc-based alloy) and enamel, brown and orange, 26x16mm single-sided leaf with dangling acorn. Sold individually. 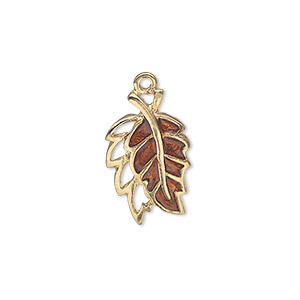 Charm, gold-finished "pewter" (zinc-based alloy) and enamel, brown, 20x12mm single-sided double leaf. Sold individually. 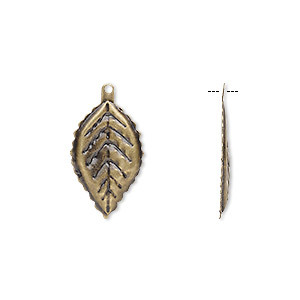 Charm, antique brass-plated brass, 17.5x10mm single-sided curved leaf with hole. Sold per pkg of 20. 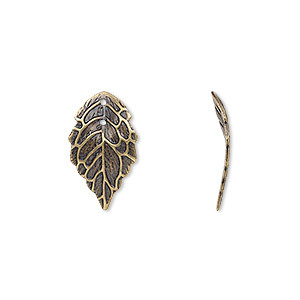 Charm, antique brass-plated brass, 21x12mm single-sided curved leaf. Sold per pkg of 20. 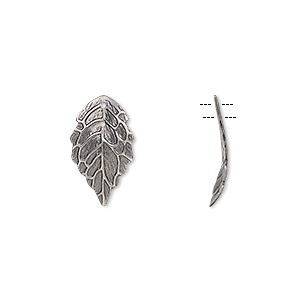 Charm, antique silver-plated brass, 17.5x10mm single-sided curved leaf with hole. Sold per pkg of 20. 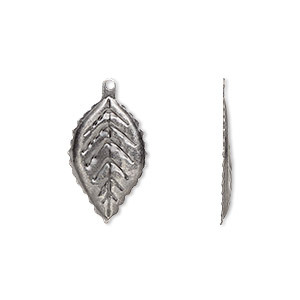 Charm, antique silver-plated brass, 21x12mm single-sided curved leaf. Sold per pkg of 20.